Abstract—The hyperspectral imaging plays an important role in remote sensing. Hyperspectral images include both spectral and spatial redundancies whose exploitation is crucial for compression. Most popular image coding algorithms attempt to transform the image data so that the transformed coefficients are largely uncorrelated. In hyperspectral image compression, wavelets have shown a good adaptability to a wide range of data. Some wavelet-based compression methods have been successfully used for hyper spectral image data. In many applications, karhunen–loève transform (KLT) is the popular approach to decorrelate spectral redundancies. In this paper, a review of efficient compression techniques is done, with more emphasis on binary embedded zerotree wavelet (BEZW), 3D set partitioning embedded block (SPECK) and 3D set partitioning in hierarchical trees (SPIHT). In comparison with the techniques discussed, the BEZW technique has lower computational cost, better performance, high efficiency and simplified coding algorithm. Index Terms—BEZW, Remote sensing, SPECK, SPIHT, transform coding, wavelet transform. 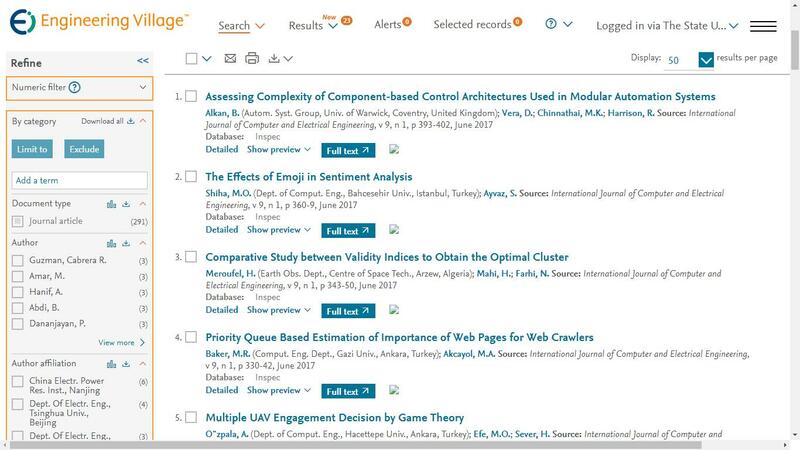 The authors are with the Department of Electrical & Computer Engineering, University of Nevada, Las Vegas, Nevada, USA. Cite:Astha Puri, Ershad Sharifahmadian, Shahram Latifi, "A Comparison of Hyperspectral Image Compression Methods," International Journal of Computer and Electrical Engineering vol. 6, no. 6, pp. 493-500, 2014.